Fire Fest event takes place Saturday, October 22, from 1:00 – 9:00 p.m. 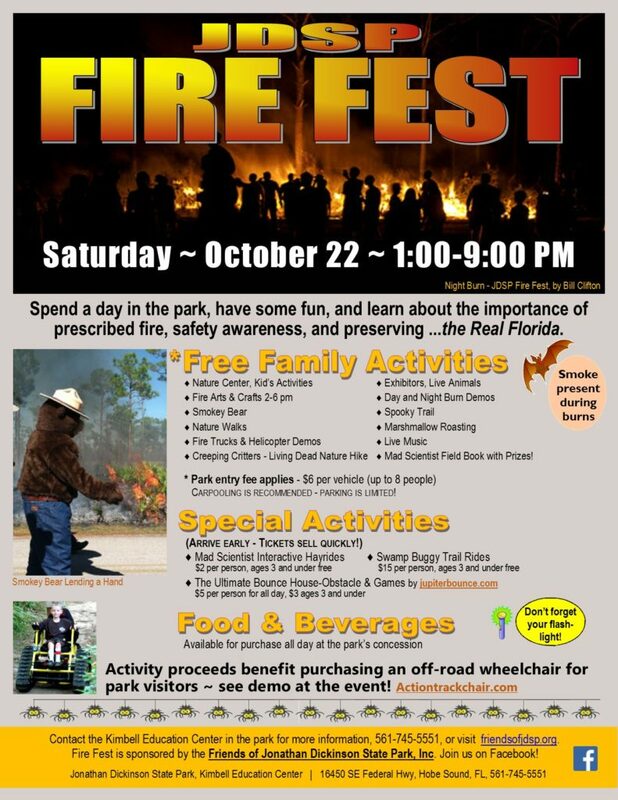 It is a community event focusing on increasing awareness about the importance of prescribed fire in Florida. We typically have about 2,000 visitors in the park who participate in a variety of activities including hayrides, swamp buggy trail rides, a spooky trail, creeping critter hikes, kids crafts, and much more! We also have two live burn demonstrations, one in the afternoon and one in the evening. A flyer is attached with more information.